Join us this weekend on April 7th from 11 a.m. to 4 p.m. at Monrovia Library Park to broaden your cultural and culinary horizons! 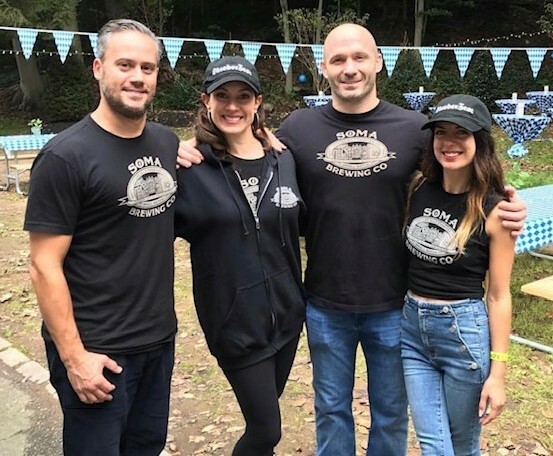 Presented by the Jewish Federation of the Greater San Gabriel and Pomona Valleys, the Jewish Food Festival is the largest food festival of it’s kind in the area. Traditional foods like rugelach, noodle kugel, gefilte fish, brisket sandwiches and fresh bagels will be available. 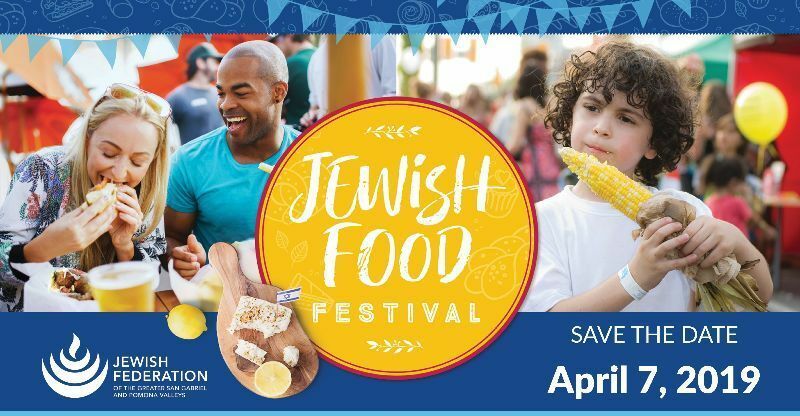 There will also be pickle making and challah braiding demonstrations on site. One of the many gardens featured in last year’s tour. Dates for the 16th Annual Theodore Payne Native Plant Garden Tourare rapidly approaching, and we couldn’t be more excited about what the Theodore Payne Foundation has lined up for this year. Seven years ago, LA Superior Court Judge Craig Mitchell began visiting the shelter Midnight Mission in Los Angeles’s notorious Skid Row after being invited by a parolee. Mitchell started going on regular runs with homeless shelter residents, recovering addicts, and ex-convicts. They were joined by lawyers, members of law enforcement, and local business owners; a running club was soon formed. When we’re craving comfort food (and who hasn’t been with all the cold weather lately?) one of our favorite places to go is Tokyo Fried Chicken Co. Located in Monterey Park, Tokyo Fried Chicken Co. has a perfect combination of deliciously satisfying and exciting flavors. We’re not the only ones who are big fans – Tokyo Fried Chicken Co. has been featured in lists by Los Angeles Magazine, LA Weekly, and Eater LA as one of the best fried chicken restaurants in the Los Angeles area. 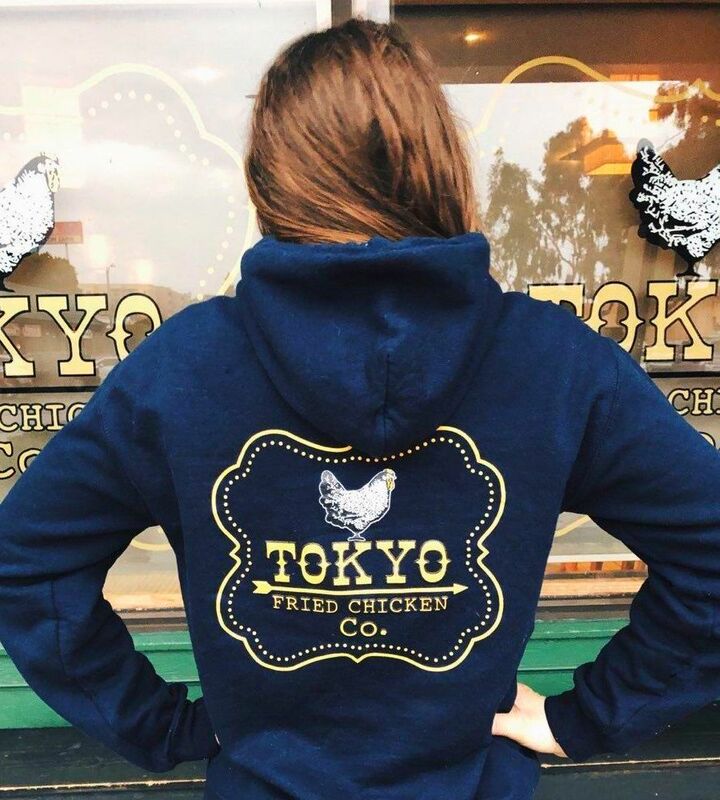 Here at Ellen’s Silkscreening, we’re proud to work with great restaurants like Tokyo Fried Chicken Co.; we love being able to help bring their vision to life by printing their shirts and sweatshirts. The owners of Tokyo Fried Chicken Co. know that when they need something cozy and stylish, Ellen’s is the place to go. Let Ellen’s take the stress out of your holiday giving. Just give us a call, or stop by the shop to get started. You don’t have to worry about finding gifts for your clients, customers, friends, and family. Our sales reps have hundreds of great gift ideas. Keep an eye out for our posts in the coming weeks. We will be making some suggestions for holiday gifts! Join us at the Women’s Health / Beauty Expo and Conference at the Pasadena Hilton! 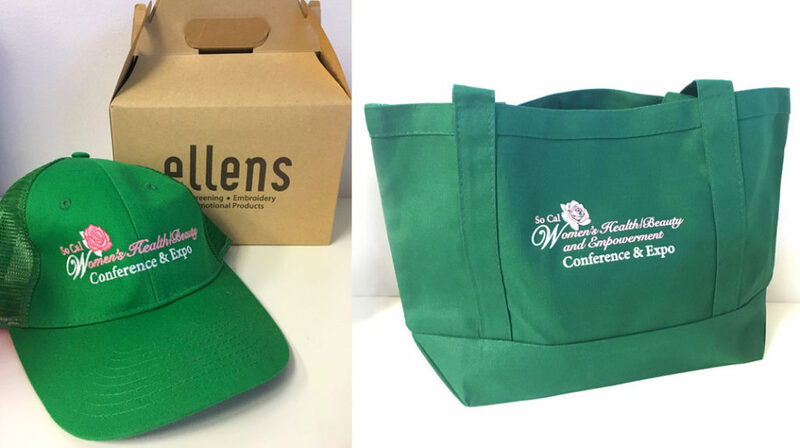 Ellen’s Silkscreening is proud to support and provide branded promotional items for the So Cal Women’s Health / Beauty & Empowerment Conference and Expo, to be held this upcoming November 3rd at the Pasadena Hilton. Notable guests include Hon. Gavin Newsom, Lieutenant Governor of California, and Kathryn Barger, 5th District Supervisor of Los Angeles County. Above are examples of an embroidered hat made for staff and silk screened tote bags that will be given out to attendees. The So Cal Women’s Health / Beauty & Empowerment Conference & Expo brings together thousands of women, families, community-based health organizations, medical professionals, and beauty and wellness experts for a day of education, inspiration, and fun. For more information on how to attend the event, please visit their website. For more information on apparel and promotional goods from Ellen’s, please visit us here. 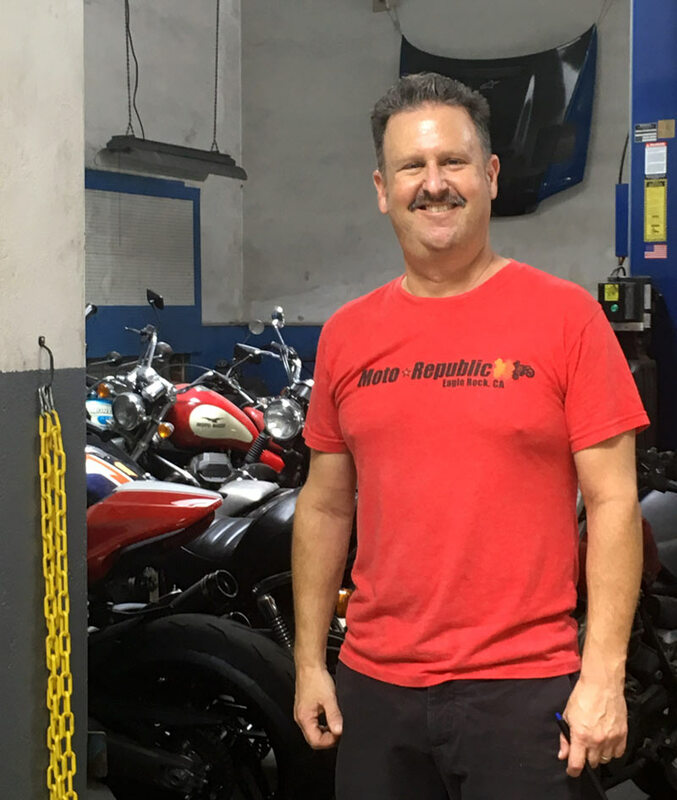 Moto Republic shop owner Jeff King explained to us that a big part of owning a motorcycle is maintaining it; he created Moto Republic to provide a space for the local community for motorcycle enthusiasts to gather and work on their bikes. 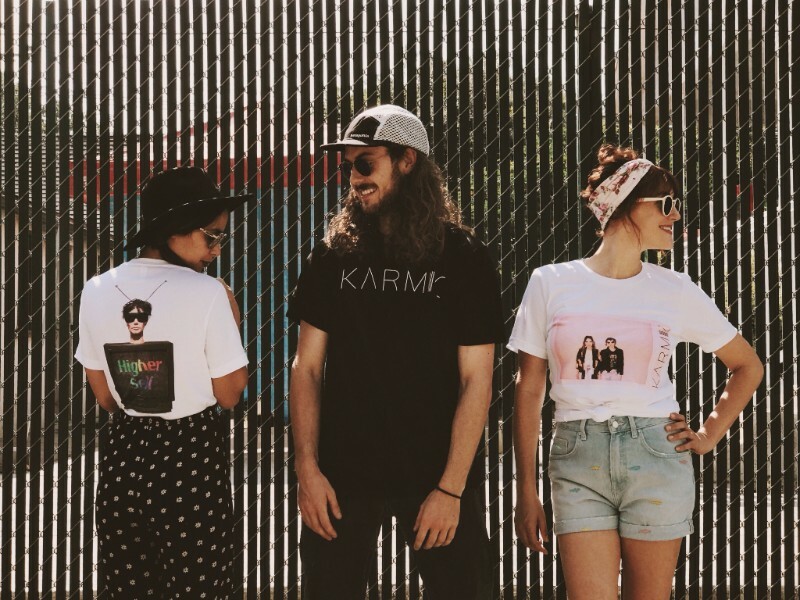 When the band Karmic needed shirts to take on their European tour, they decided to check out Ellen’s! 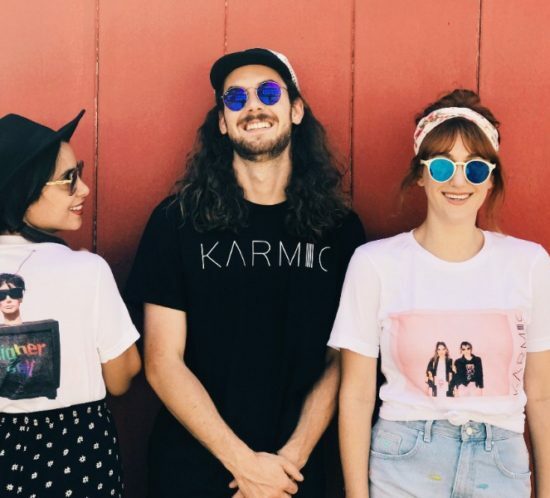 The band needed to make three shirts; two of them requiring a complex simulated process printing technique, where a small number of colors are layered together to achieve a wide range of shades and hues. Ellen’s is very proud to supply Villa Esperanza with their ‘Hope is Hard at Work’ Tees! 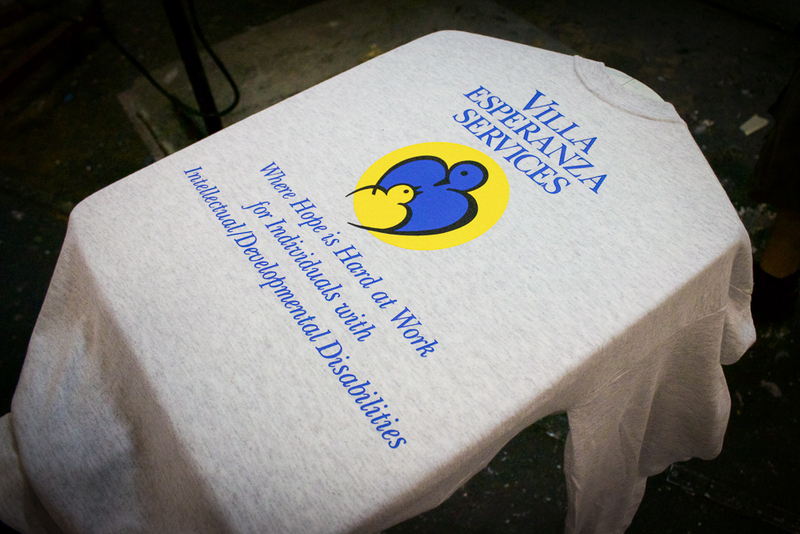 Ellen’s recently screen printed t-shirts for Villa Esperanza Services, a Pasadena based non-profit serving 600 disabled children, adults, and seniors living with different developmental and intellectual challenges. The shirts will be given as gifts to Villa Esperanza clients, celebrating their accomplishments at an annual awards event. Founded in 1961, Villa Esperanza serves people in 49 cities across the country. 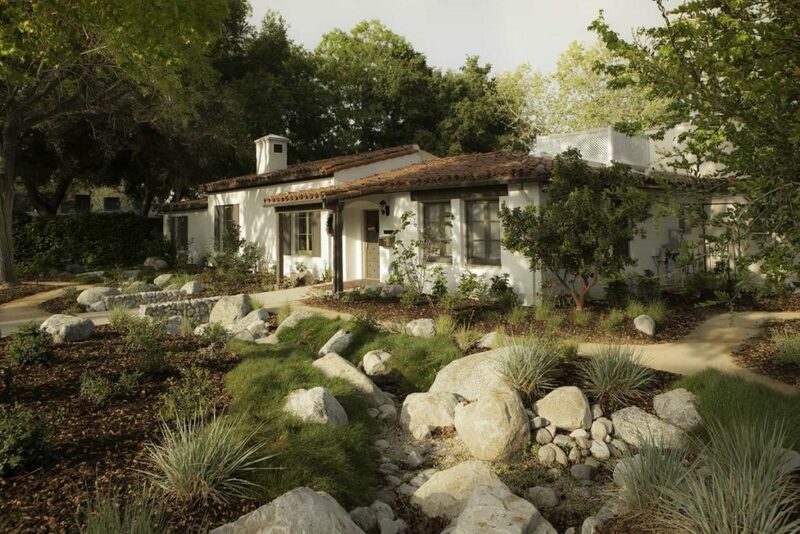 To learn more about Villa Esperanza’s amazing work, visit their website.